As Liberia today celebrates 42 days without any new Ebola infections - effectively marking the end of the Ebola outbreak in West Africa, the international medical humanitarian organization Médecins Sans Frontières (MSF) calls on the global health community to draw on lessons learnt in order to be better prepared for future similar outbreaks. 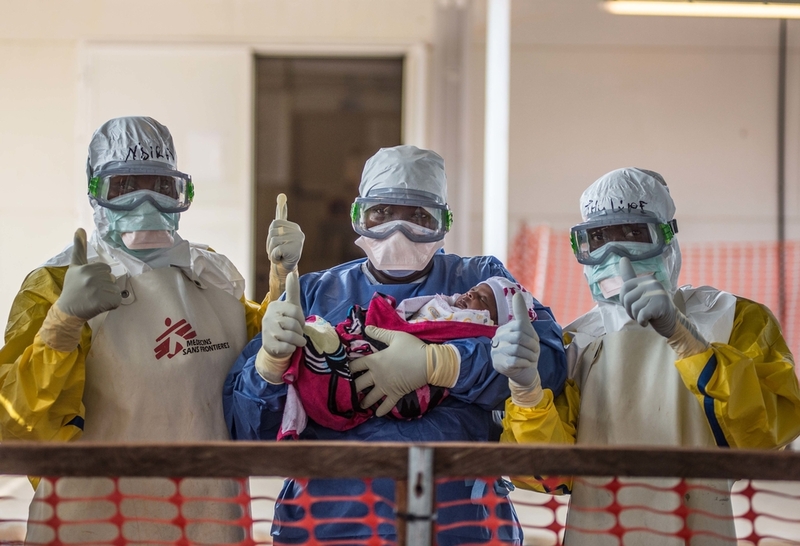 “Today is a day of celebration and relief that this outbreak is finally over“ says Joanne Liu, MSF’s International President. “We must all learn from this experience to improve how we respond to future epidemics and to neglected diseases. "This Ebola response was not limited by lack of international means but by a lack of political will to rapidly deploy assistance to help communities. "The needs of patients and affected communities must remain at the heart of any response and outweigh political interests." MSF hygienists put aside the bodies of two children who passed away during the day. July 2014, Kailahun MSF Ebola Treatment Centre in Sierra Leone. ”We should congratulate all the people who tirelessly contributed to putting an end to this devastating and unprecedented epidemic, while we should also remember the many health professionals who tragically lost their lives on the Ebola frontline” added Brice de le Vingne, MSF’s Director of Operations. From the very beginning of the epidemic, MSF responded in the worst affected countries – Guinea, Liberia and Sierra Leone - through setting up Ebola treatment centres as well as providing services such as psychological support, health promotion activities, surveillance and contact tracing. At its peak, MSF employed nearly 4000 national staff and over 325 international staff to combat the epidemic across the three countries. MSF admitted a total of 10,376 patients to its Ebola treatment centres, of which 5226 turned out to be confirmed Ebola cases. In total, the organization has spent over 96 million euros on tackling the epidemic. MSF staff collect a suspected Ebola patient from an ambulance that broke down just before reaching MSF Ebola management centre in Kailahun. The ambulance came from the Kissi Tang Chiefdom, a three hour drive from Kailahun. December 2014. Ebola survivors are particularly vulnerable, and they face continuing health challenges such as joint pain, chronic fatigue, and hearing- and vision problems. They also suffer from stigmatisation in their communities and need specific and tailored care. 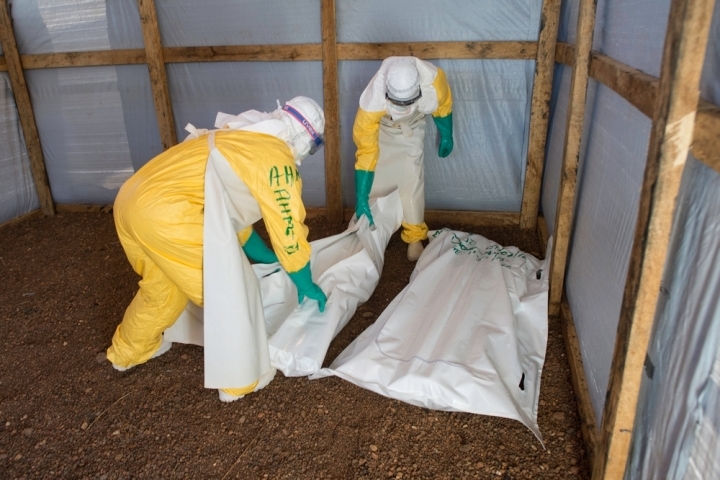 MSF has invested in setting up Ebola survivor clinics in Liberia, Sierra Leone and Guinea, providing a comprehensive care package, including medical, psychosocial care and protection against stigma. MSF outreach team in Grand Bassa county, where psychosocial staff went to villages to educate on Ebola transmission and protection mechanisms after finding a person infected with the virus in the area and setting up a short term project. December 2014. 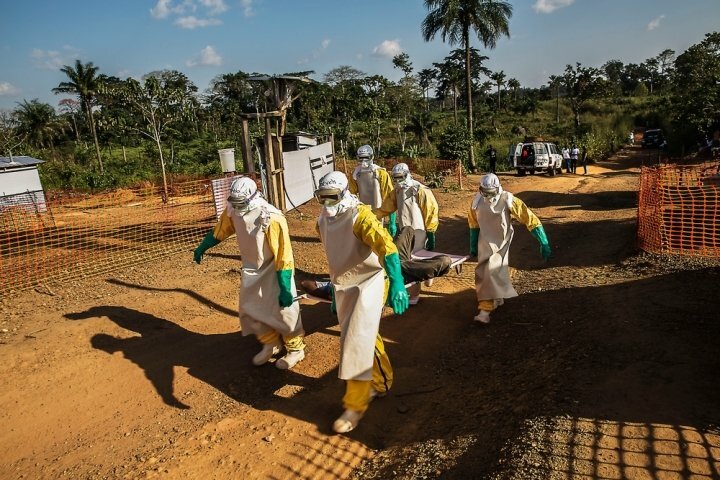 “Throughout the epidemic, I witnessed how communities were ripped apart” says Hilde de Clerck, MSF epidemiologist, who worked in Liberia, Guinea and Sierra Leone.